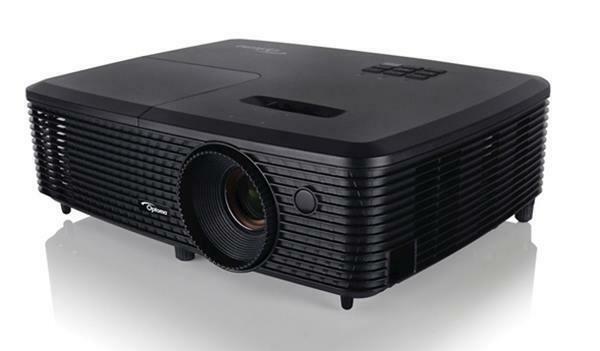 Articles about projector technology and applications to help you learn the differences among popular display types such as LCD, DLP, and LCOS; understand projector specs you'll see in marketing materials; and figure out what makes one projector the best for your needs. Apr 1, 2019 - Lamp, LED, or Laser: What's Best for You? Feb 20, 2019 - Video Wall or Projection: What's Right for You? Dec 15, 2017 - Are "LED lumens" a Real Thing? Dec 6, 2017 - What is Projection Mapping? Jan 23, 2017 - 4K DLP Projectors -- is the chip really 4K? Jul 28, 2014 - Cheap Projectors -- how bad are they? Oct 26, 2012 - A Critical Home Theater Decision -- 16:9 or 2.4? Aug 7, 2012 - Is 3D Sinking or Swimming? Nov 11, 2010 - How big should your screen be? Aug 19, 2010 - What Does "3D Ready" Mean? Jan 20, 2009 - Is Frame Interpolation Important? Sep 10, 2008 - 1080p vs. 720p -- Which is best for you? May 11, 2007 - Your Projector Screen: How big should it be? Apr 25, 2007 - 16:9, 4:3 or 2.35:1 - What is the best screen format? Mar 27, 2007 - 2.35:1 Widescreen Home Theater: Is it right for you or not? May 20, 2005 - What projector resolution is best for you? May 4, 2005 - DVI and HDMI - Copper or Fiber Optics? Jan 20, 2005 - Do you have true HDTV? May 25, 2004 - How do projector screens differ? May 24, 2004 - Should I use white or gray projection screens? May 24, 2004 - What is screen gain? Sep 18, 2003 - What is an anamorphic lens? Apr 23, 2003 - Component video -- is 480p better than 480i? Apr 12, 2001 - Is SVGA enough for good video? Feb 26, 2001 - So what is Component Video anyway? Dec 26, 1999 - A Lens is a Lens...Right? ?